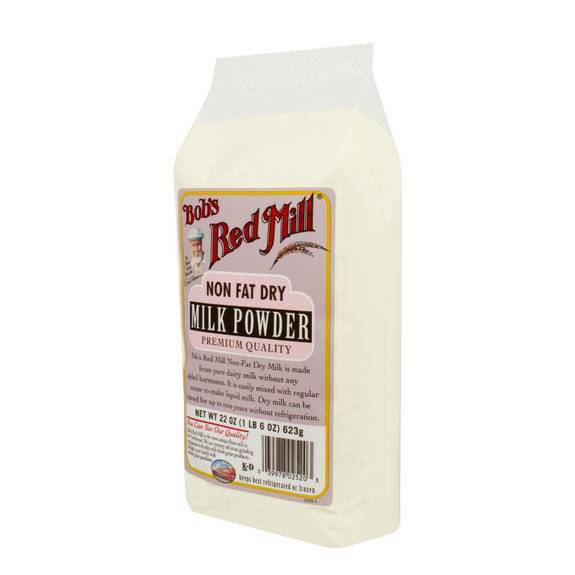 Bobâ€™s Red Mill Dry Milk Powder Is Easily Mixed With Regular Water To Make Liquid Milk. This Premium-quality Food Is Made From Pure Non-fat Dairy Milk Without Any Added Hormones. Dried Milk Powder Can Be Stored For Up To Two Years Without Refrigeration. Great For Shakes, Smoothies, Pie Crusts, And Bread Dough. Each Serving Provides 25% Of Your Daily Serving Of Calcium. See Nutrition Facts Panel For Allergens. Includes 22 Oz. Package. Bobâ€™s Red Mill Is Proud To Be An Employee-owned Company. We Honor The Innate Perfection Of Simple Foods.